Brownie leader celebrates long service award with her unit. It was time to celebrate for the brownies at 1st Muxton Brownie Unit in Shropshire this week as their leader Jo Lutner, was awarded her 20 year’s long service award. 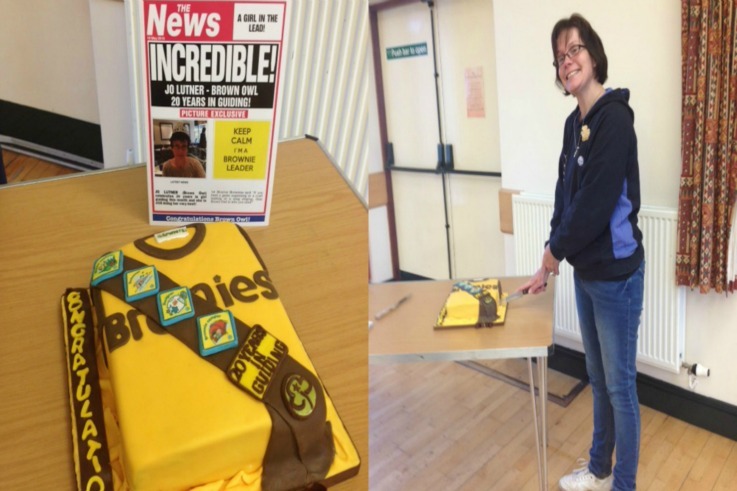 Jo said that it was great to be able to share the event with her brownies and even had this incredible cake to mark the occasion. If you’d like to share any photos of what your unit has been up to, get in contact via this page on the website.